This Chocolate Coconut Butter is amazing. Have you had coconut butter? It’s amazing. The store bought stuff can get pricey which is my I make Homemade Coconut Butter. Coconut butter is so creamy and delicious and it literally melts in your mouth. I use coconut butter in a lot of my fudge recipes for that very reason. I already had one recipe for homemade coconut butter, but I decided to take to to a whole new level by adding the dark chocolate. You have got to try this homemade chocolate coconut butter recipe! If you freeze this homemade coconut butter, you can make quite a delicious and creamy fudge. Definitely give that a try too. So yum! 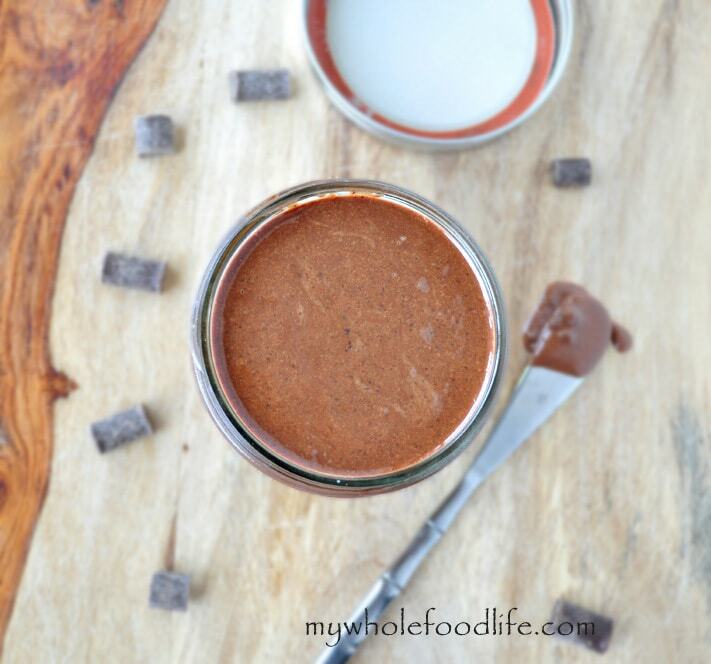 A decadent chocolate coconut spread with only 2 ingredients! This can take about 15-20 minutes depending on if you are using a blender or food processor. Once the coconut gets to that stage, add in the chocolate bar and continue to blend until smooth. I store mine in the pantry in an old mason jelly jar . Recipe makes about 2 cups coconut butter. I stored the coconut butter in my pantry. It may harden slightly, but you can stick the jar in a pot of hot water and it should soften right up. Blending it again may help as well. Melissa, I want to make this today. I was going to sub cocoa powder for the choc bar, but 3.5 oz seems to be almost 13.5 Tbsp and that sounds like way too much??? Any help or suggestions on how much cocoa to use? If you were to use cocoa powder, I suggest going with 3 tablespoons. Coconut butter is made from the flesh. Different from the canned. You can find it in the same section as all the nut butters.